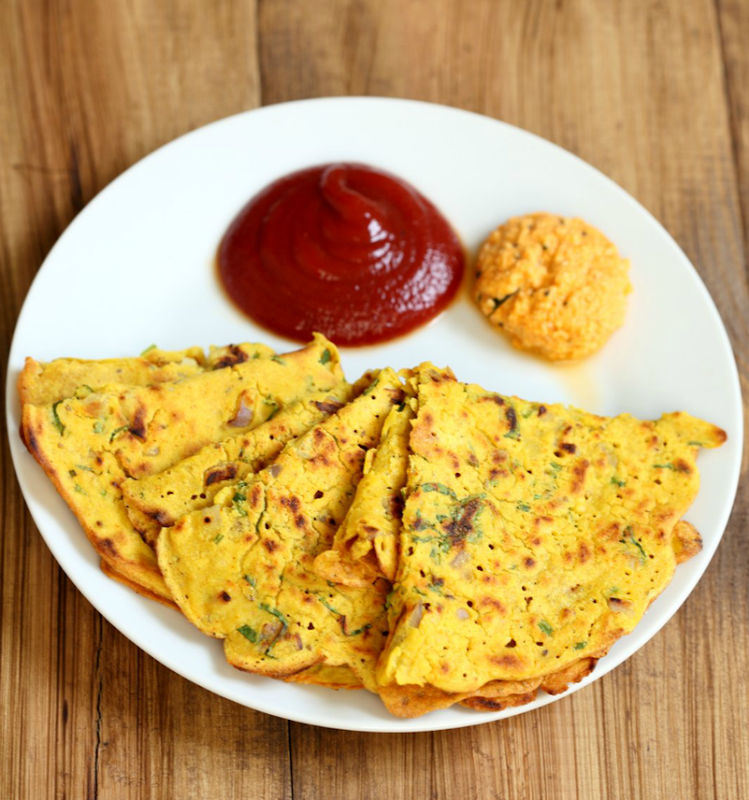 I am so happy to be celebrating my friend Richa's amazing cookbook today by sharing her recipe for "Mom’s Chickpea Flour Pancakes." Richa writes for one of my favorite vegan blogs Vegan Richa. If you love Indian food you do not want to miss this review!.. 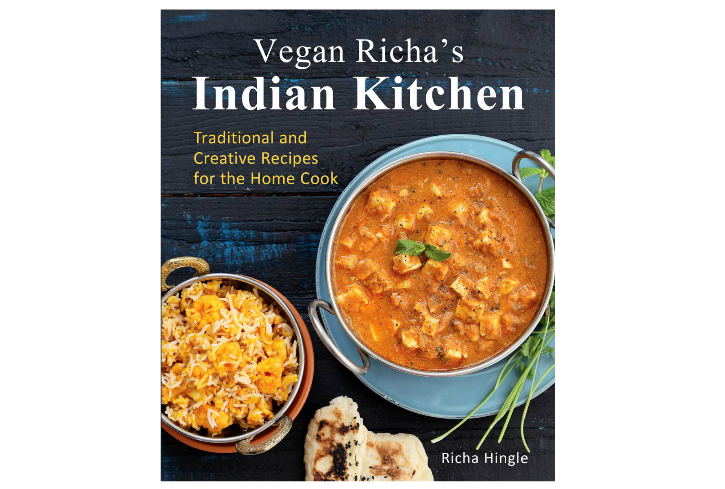 I was so excited when Richa's cookbook "Vegan Richa's Indian Kitchen" plopped on my doorstep. I was thrilled to flip through the colorful photos, delicious recipes, Indian cuisine cooking tips and massive ingredient guide. That ingredient guide is so important and helpful for someone like me who is not familiar with some of the more unique ingredients in Indian cooking. More Indian Food Please. A few years ago I had a photo project that consisted of about five vegan Indian recipes. I went to a special grocery store, bought some new-to-me ingredients and started cooking. My kitchen smelled AMAZING. I loved the flavors and I instantly decided I needed to cook more Indian meals in my kitchen. But months passed and I never followed through. 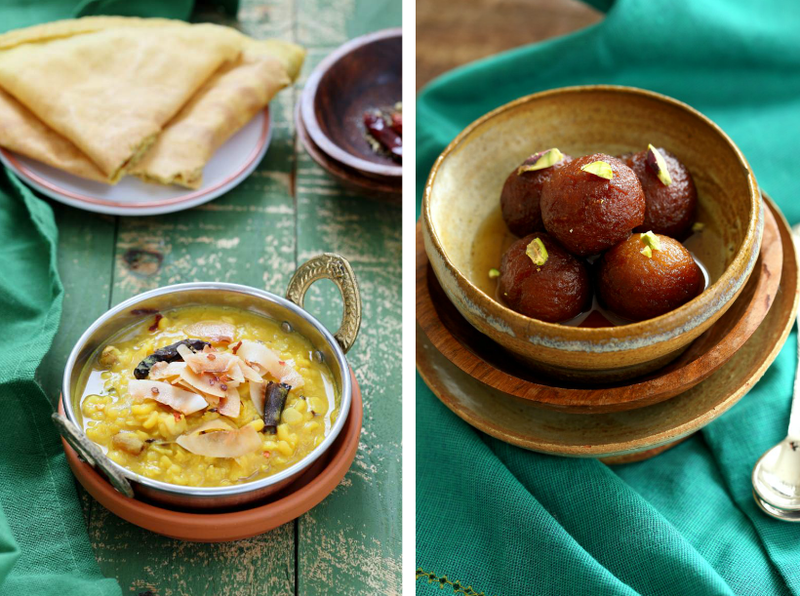 I wasn't cooking with those dreamy Indian cooking ingredients stashed away in my pantry. The recipes felt too hard, too exotic and just out of reach. I felt alone in my Indian cooking goals! ..Richa's cookbook to the rescue! I am once again inspired and even better: EMPOWERED to start cooking more Indian meals in my house. And today I wanted to share this recipe from Richa's book because these fluffy, egg-looking pancakes look ah-mazing. They will be gracing my breakfast (or dinner!) table very soon. Hope you make them as well and we can swoon together. And you need to check out Richa's amazing blog for delicious recipes, beautiful food photos and loads of sincere cooking inspiration. Also check out Richa's amazing collection of recipes on FindingVegan.com. In a bowl, combine the chickpea flour and 3/4 cup water. Whisk to get a smooth consistency. Whisk in another 1/2 to 3/4 cup water to make a thin lump-free batter. (If using besan, you will need less water). Add the salt, turmeric, cayenne, carom seeds, onion, chile, cilantro, and 1 teaspoon of oil, and mix well. Let the batter sit for 5 minutes. Heat a skillet over medium heat. When the skillet is hot, drizzle a few drops of oil on the skillet. Spread the oil using a paper towel. Pour a ladle full (1/4 to 1/3 cup) of the batter onto the skillet. Spread the batter by moving the skillet to make a 6 to 8-inch pancake. Drizzle a few drops of oil on the edges of the pancake. 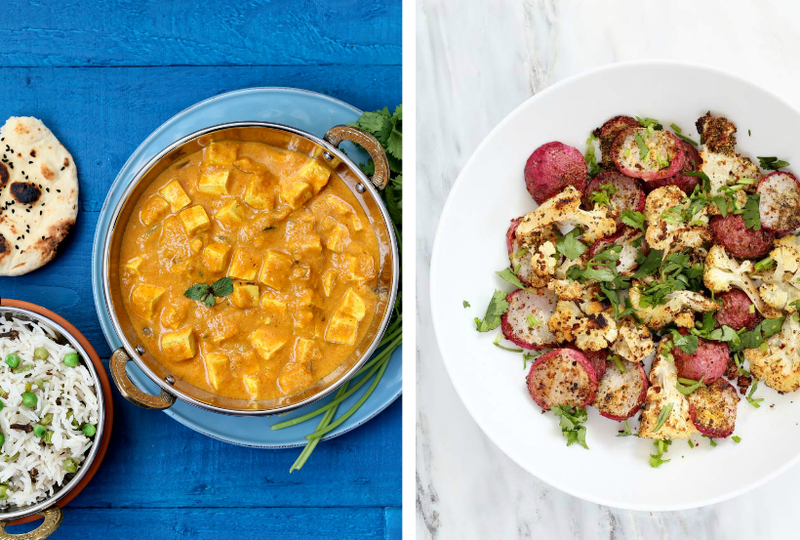 Recipe from Vegan Richa’s Indian Kitchen Copyright © 2015 by Richa Hingle. Used by permission Vegan Heritage Press, LLC.